​Listen, Lucy is a place to express yourself freely, creatively and anonymously to find comfort in seeing you are not alone. 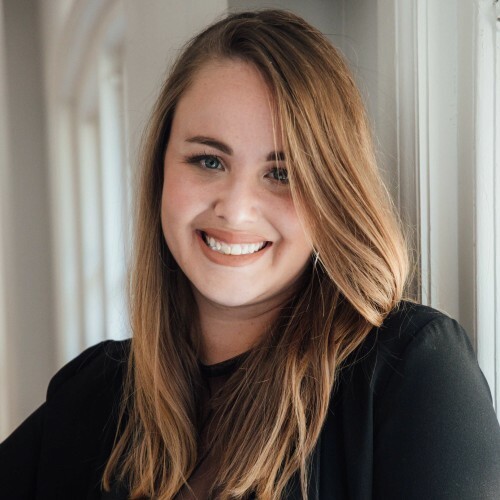 Nationally recognized motivational speaker, mental health advocate and author, Jordan Corcoran (founder of Listen, Lucy) is a Mercyhurst College graduate with a story to share. During her freshman year, she was diagnosed with Generalized Anxiety Disorder and Panic Disorder. After going through a difficult struggle with coming to terms and learning to cope, Jordan created an outlet where people can openly and candidly share their own personal challenges and struggles. Now Jordan’s time is spent touring around the country speaking to college, high school and middle school students, as well as organizations, about her story and the importance of acceptance - of others and of yourself. She is the author of Listen Lucy Volume 1 and Write It Out, has been featured on Today.com and UpWorthy for her self-love campaigns and was a keynote speaker at NAMI and other mental health organizations. As seen on ListenLucy.org, she filmed The Acceptance Movement, a docu-series that showcases her speaking to 10 schools and organizations in the US and revealing the powerful impact Listen, Lucy can have on an individual. Her mission is simple: she wants to create a less judgmental and more accepting world. Find out more about Jordan Corcoran at http://www.ListenLucy.org.